Α highly inventive cultural route transforms five of Epirus’ ancient monuments into one rich thematic experience. Did you know that the Roman emperor Nero took part in a cultural competition and (rather unsurprisingly) was declared the winner? Did you know that you can take a stroll through the lanes of a settlement that fitted Aristotle’s description of an “ideal city,” and which featured an ancient hotel? Did you know that there is a town where slave owners who decided to give their slaves their freedom were honored by having their names etched onto the seats of the local theater? The Regional Authority of Epirus recently inaugurated the Cultural Route of the Ancient Theaters of Epirus, a project that aims to link the theaters found in five archaeological sites with the region’s other attractions: rivers and stone-built bridges, mountains, picturesque traditional villages, lakes, one-of-a-kind beaches on the Ionian Sea, lovely towns, Byzantine monasteries, churches and local products. 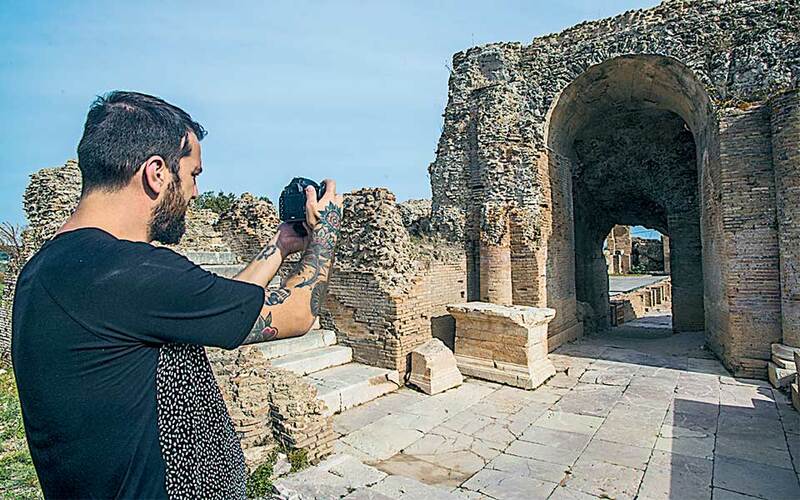 The rationale behind this ambitious undertaking was that a route through the ages in Epirus would be more meaningful for the visitor, allowing them to connect with the region on a deeper level. “We didn’t want our exceptional archaeological sites to just stand there as mere ‘silent monuments’; rather, we wanted them to be the driver of an integrated form of development. We wanted to offer visitors the opportunity to have a more experiential relationship with our monuments, so as to enjoy a richer and more profound experience,” said Stratos Ioannou, speaking at last October’s inauguration of the route. Ioannou, who serves as deputy regional governor of Epirus and is responsible for tourism development of the region, is the co-initiator of the project, having envisioned and realized it in tandem with Stavros Benos of the organization Diazoma. 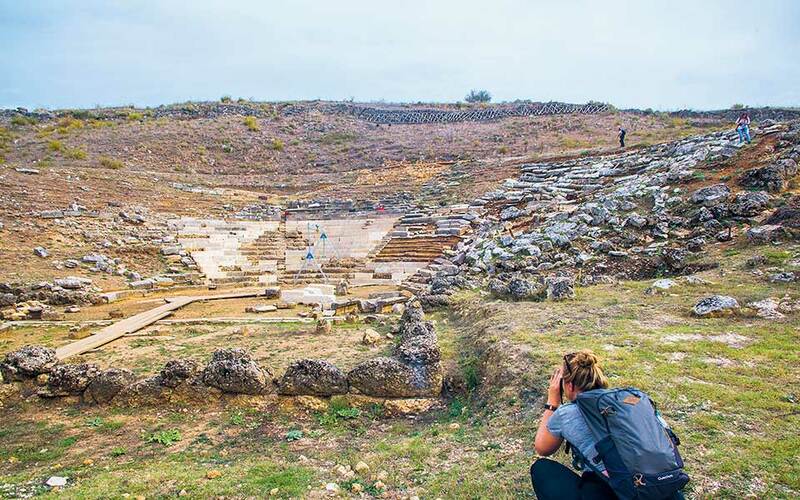 Today, five years of hard work later, five archaeological sites and their theaters now aim to serve as gateways for visitors, leading to what could be described as a more holistic immersion in the region of Epirus, with individuals offered the opportunity to curate the experiences that inspire and interest them. The project received 39 million euros in EU funding, having been included in the Partnership Agreement 2014–2020 program (funded through the EU’s European Structural and Investment Funds – ESIF), with the Region of Epirus earmarking roughly 1/6 of the entire Regional Operational Program budget for this cultural project. While the aim is for the project to link Epirus’ tourism enterprises by a common thread, it has not fully reached this stage yet. The route can be found at the website ancienttheatersofepirus.gr, but for now visitors can only follow it on their own; the hope is that operators will soon incorporate it in their organized tours. Local professionals and businesspeople are already on board, signing on to the Local Agreement for the Support and Development of the Route; they have thus linked their restaurants and traditional tavernas, guesthouses and other businesses to the project. The next step in the route’s development is the incorporation of technological enhancements such as digital tours; special efforts will also be made to make these accessible to visitors with hearing impairments. Octavian was so overjoyed at defeating Mark Antony and Cleopatra’s combined fleet in the Battle of Actium that he constructed an entire city in his own honor to celebrate his victory. And this is why he chose the name “Nicopolis” for his new town (literally meaning “Victory City”). However, there was just one little problem: The city did not have any residents. To overcome this obstacle, Octavian forced the inhabitants of 20 neighboring towns to abandon their homes permanently, and resettle in Nicopolis. The local ancient theater – which offered astounding views of the ancient city, the Ionian Sea and the Ambracian Gulf – was the scene of sporting and artistic contests that took place within the framework of the Actia Games, which were held to honor Apollo. It is said that even Nero tested his abilities in tragedy and music, and, to no one’s surprise, the judges did not dare not award him for his efforts. Restoration work is still underway on the theater of Nicopolis, thus it is not open to the public at the moment. 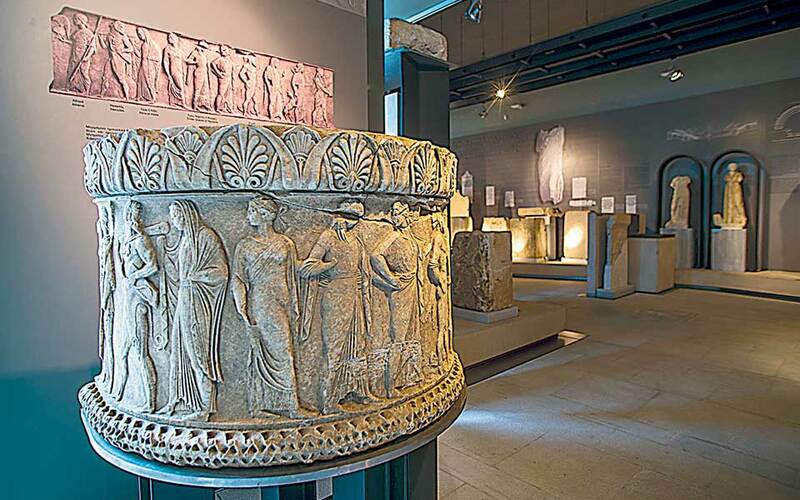 However, a visit to the Odeon and also to the New Archaeological Museum of Nicopolis, which is located in the town of Preveza, are both highly recommended. Just make sure to have ample time at your disposal, since, in addition to the time you will need to view the monuments themselves, you will also have to travel from the one site to the other to see it (a car drive of about 10-15 minutes). At present, Ancient Nicopolis is a candidate for inclusion on the UNESCO List of World Heritage Sites. Tip: If you have the time, why not enjoy an ouzo in Preveza, a town famed for its fish and seafood meze? Be sure to sample the grilled sardine, the shrimp from the Ambracian Gulf (known locally as gambari), the red mullet, and, naturally, the renowned avgotaraho (bottarga) of Preveza. Tel (+30) 26510.822.87. Open Mon 08:00-15:00, Tue-Sun 09:00-17:00. Admission €8 (regular), €4 (reduced). Dodona, which lies just 20 kilometers from the city of Ioannina, is one of the most famous archaeological sites in Greece, as it was the home of the ancient oracle of Zeus, who would issue prophecies under a sacred oak tree. 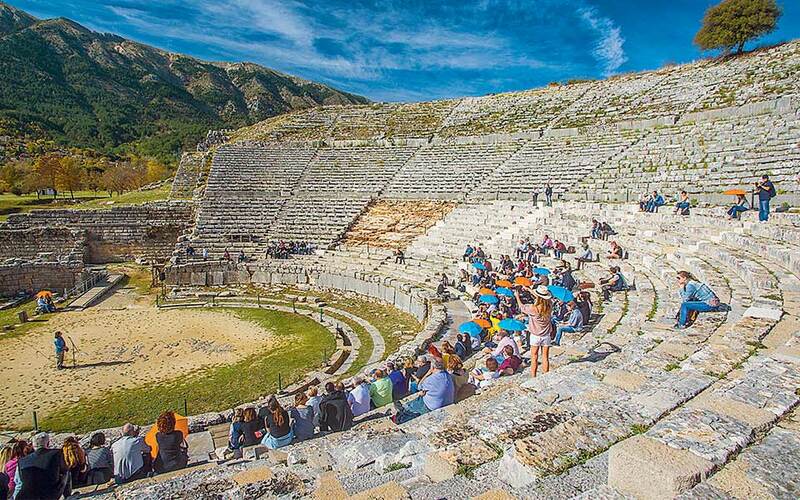 The Theater of Dodona was built long afterwards; in fact, our tour guide noted that the oracle was already “ancient” to the ancients constructing the theater. If possible, combine your visit with attendance at one of the performances held during the summer months. We were presented with just that opportunity – as we were there for the inauguration of the route – and got to see actor Christos Stylianou interpreting an extract from the soliloquy in Euripides’ Orestes. The spectacle was truly riveting. Tip: Before or after your visit to the Archaeological Site of Dodona, enjoy an outing in Ioannina, Epirus’ atmospheric capital city. You can take the little boat to Nisos (Ioannina Island) and its Ali Pasha Museum (tel [+30] 26510.817.91), go up the Its Kale and pass by the city’s particularly impressive Silversmithing Museum. Also do not miss out on the awe-inspiring Cave of Perama (tel [+30] 26510.815.21). Tel (+30) 26510.822.87. Open daily 08:00-19:00 (winter hours). Admission €2 (regular), €1 (reduced). 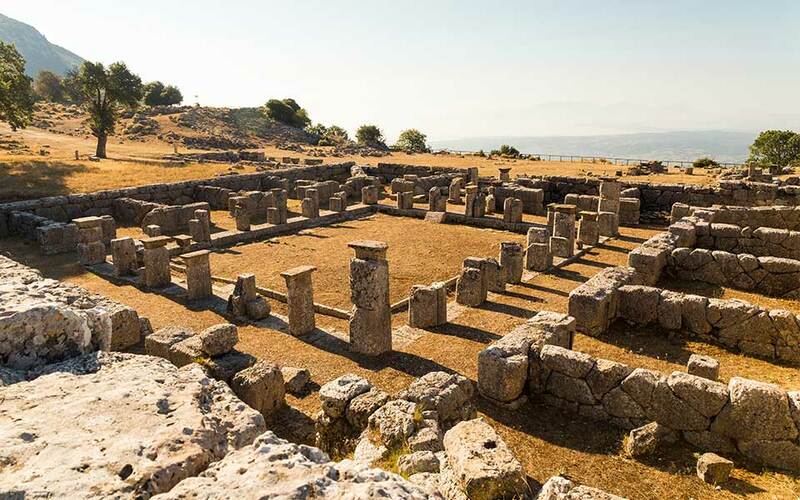 The ruins of a once-thriving Corinthian colony, founded in the mid-7th c BC and which later – during the reign of King Pyrrhus – served as the capital of Epirus, literally lies under what is today the city of Arta. 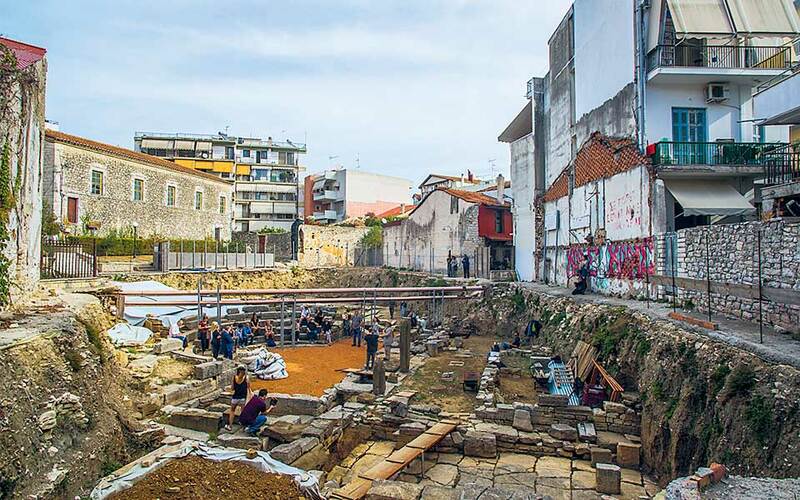 Archaeological finds – such as the Mikro Theatro (little theater), located within the urban landscape – seem to pop out amidst the city’s contemporary buildings. This also happens to be the smallest ancient Greek theater unearthed to date, and can easily be viewed from the street. The West Necropolis has also survived; in fact, excavation work on it wrapped up just recently, and it can clearly be seen from street level. Tip: Besides Arta’s famous gefyri (the old stone bridge) and Kastro (castle), it is worth visiting Panaghia Parigoritissa, a Byzantine church featuring unique architecture built atop an older temple. During the construction of the church, some adjustments were made to parts of the temple and these were incorporated into the new building, thus creating what we see today. Groups can arrange to visit the West Necropolis by calling the Ephorate of Antiquities of Arta on tel (+30) 26810.246.36. This mountain ancient city dating to the 4th c BC continues to impress to this day, owing to its layout and exemplary sewage system. Its construction was based on the Hippodamian Plan grid system, and faithfully adhered to Aristotles’ suggestions on how to create the ideal city. Cassope’s setting – located as it is within a forest with a stunning view towards the sea – is truly awe-inspiring. Every part of the city is a testament to the intelligence of the people who built it and lived there. While walking along its perfectly laid out stone roads, amidst its 600 homes, through its parallelogram-shaped Agora, its Prytaneion, its Katagogio (a 17-room hotel built around a courtyard), and as far as the Theater at the base of the acropolis on the northwest side, you come to understand that the Ancient Cassopeans were an inspired lot. The city was inhabited for a mere 300 years, as its residents were forced to abandon their homes and help settle Nicopolis. Tip: Cassope is located just after the village of Kamarina. The Monastery of Aghios Dimitrios makes for an interesting stop in the area, as it is situated in the shadow of Mount Zaloggo, below the monument of the same name. The latter commemorates the mass suicide of the women of Souli and their children in 1803, who opted to kill themselves rather than surrender to the Ottoman Turks. This work was designed and created by the sculptor George Zongolopoulos. Open Tue-Sun 10:00-16:00. Admission €2 (regular), €1 (reduced). For details or any other information including the opening hours in effect at this and at other archaeological sites located within the broader area, call the Ephorate of Antiquities of Preveza on tel (+30) 26820.898.90. The powerful capital of the ancient Thesprotians was constructed in the 4th c BC on the banks of the Kalama (or Thyamis) River. Two names are inscribed on each one of the seats found in the lower tier of the ancient theater; these include Menedamos, Timodamos, Antinous, Alexandros, Kephalos, Docimos, Pausanias, Nikomachos, Nikostratos, Charopidas and Philista. According to one theory, the first name belonged to the slave owner and the second to the slave he had set free. Restoration work is still being carried out on the theater. One of its most important elements is the way in which the walls were constructed; polygonal stones were used, so that these would interlock. Tip: At a distance of 55k from Gitana lies Parga, the location of the Paragaea Old Olive Oil Factory (19 K. Tzavella, paragaea.gr). The list of activities that this special place organizes includes olive oil-tasting events, culinary lessons and even sessions on how to craft olive oil-based soap. En route to Parga, don’t pass up the opportunity to make a stop to admire beautiful Lake Kalodiki, and its wonderful lily pads. The Archaeological Site of Gitana may be visited only by prior arrangement, by calling tel (+30) 26650.285.39 or 26650.247.33.